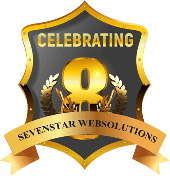 Sevenstar Websolutions is a leading eCommerce website development company in India that offers eCommerce web development services worldwide. We provide various types of shopping website development on all platform. If you are looking for WordPress development company, Magento Development Company, Shopify development company, Java Development company then Sevenstar Websolutions is the best option for you.